Overdigit Slave Modbus modules conform to the official Modbus specification but at the same time take advantage of the protocol flexibility to achieve much higher performance than any other Modbus device on the market. The performance increase can only be fully used in conjunction with Overdigit Web-PLCs, as the implementation of custom function codes is.. The second and last level of the Modbus protocol, known as the “Application layer”, deals with the Protocol Data Unit (PDU), that is, the useful part of the information contained in the frames exchanged between the Master and the Slave. In fact, in the previous layer (Data Link layer), only the parts of the protocol.. The “Data Link layer” is the first of the software type levels of the Modbus protocol and defines how the bytes are exchanged between one device and the other, however, regardless of their specific meaning. This level provides two different methods for transmitting information. Transmission of RTU Modbus type involves the exchange of binary frames.. 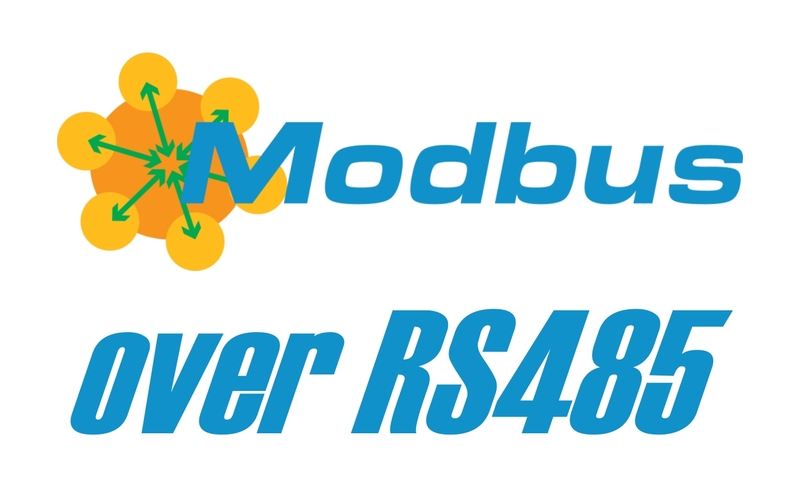 The RS485 Modbus is certainly one of the most popular implementation thanks to its simplicity, economy and reliability in the industrial environment. It is realized by means of a two-wire cable that connects all the devices on the network in parallel. As a Master/Slave protocol, only one Master device and one or more Slave devices..
Modbus protocol is still one of the most popular communication protocols in the field of industrial automation despite its origins dating back to 1979. Its solid and long-lasting presence in the broad overview of industrial protocols is due to the fact that Modbus is a simple and direct protocol. It is also royalty-free and flexible.. 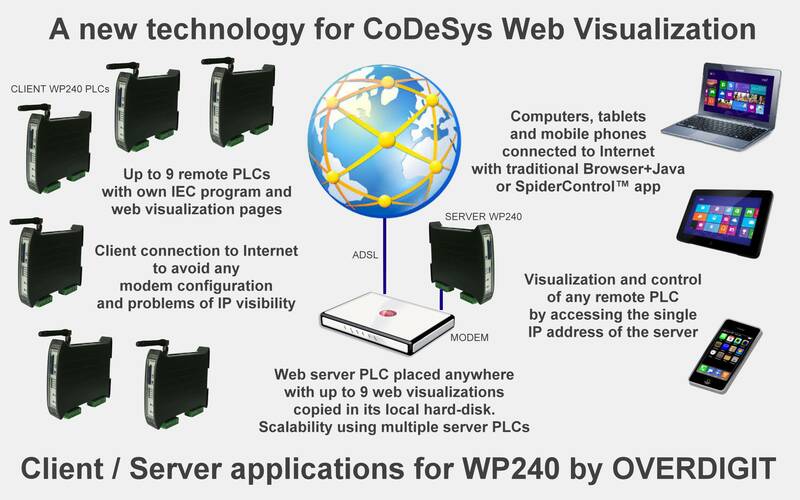 The CoDeSys Web Visualization used on a PLC in client mode overcomes any problem of IP address visibility.